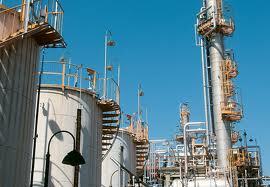 To feed this cracker, usually a steam cracker, the refineries have two solutions, ethane or naphtha. The ethane will come from raw natural gas while naphtha will be extracted from oil. Depending on the location of the refinery and the access to the nearest and most competitive feedstock, gas or oil, the cracker will be selected accordingly. Historically the refineries, especially in the western countries used to work with naphtha cracker because they were producing primarily gasoline and diesel considering the petrochemical products as a by-product of the transportation fuels. But in the Gulf region, many countries were looking to reduce their reliance on exporting only crude oil or natural gas, therefore they investigated solutions to develop business with high added value petrochemical products. Since their existing refineries were already fully loaded to produce gasoline and diesel, and they had significant quantities of associated gas available, they invested in ethane crackers to monetize this natural gas. Today the situation in both regions is slightly different but leading both to converge on the mixed cracker. 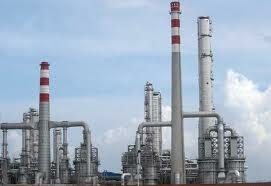 Western countries are buying their oil at high sky prices which compromises the petrochemical industry behind. In opposite way, the natural gas prices are at their lowest levels giving a premium to the producers using ethane as feedstock for their petrochemical products. This spread between the oil and gas has significantly increased with the development of the shale gas in USA which turns this country from first importer to potential exporter. All the companies upgrading their refineries in these western countries are now integrating mixed cracker to preserve their competitive advantage and benefit from more flexibility depending on commodities markets. In the producing countries, the situation has changed too because in most of them except Qatar, the ethane availability is reducing so that the new refineries should be again able to run with naphtha in case of ethane shortage. So even if the root cause might be different in consumers countries and in producing countries, both are now integrating the same technology with the mixed cracker in order to optimize the downstream value chain between the oil or gas availability as feedstock and the market prices in high added value hydrocarbon products. Payday Loans In Ohio. This pill gives a hand to thousands who suffer from erectile dysfunction. People who take Viagra Super Active can forget about their impotence and have a normal intimate life.